Royal And Langnickel is one of the favorite makeup brush brands of many makeup artists; I've heard countless makeup artists whom I've worked with swear by this brand; I've learned about this brand in my beginning years as a Beauty Blogger and have long since craved for a set, if not a few pieces. A dear client and friend of mine gave me a set as post- Christmas gift; LE GASP! Can't believe I finally have not one, two, or three pieces, but an 11-pc. set! I feel so happy! Here are my thoughts on this makeup brush brand. 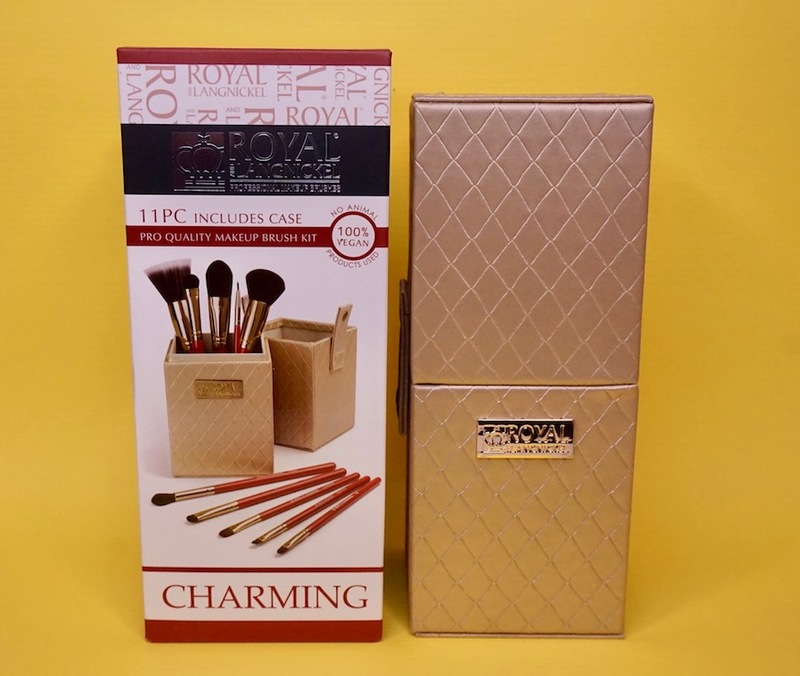 Royal and Langnickel is one of the leading manufacturers of paint and makeup brush brands. Charming is an 11-pc. set that contains essential eye, face, and lip brushes for flawless makeup. 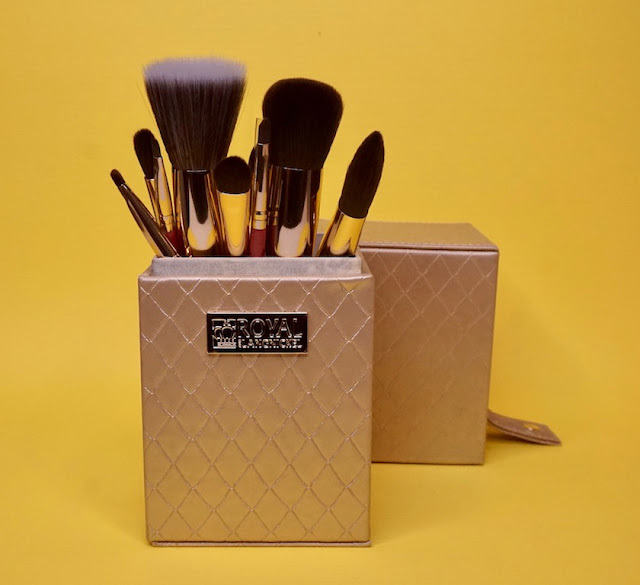 The set comes in a golden box lined with textured satin. Gorgeous! This will look amazing on my dresser. The brushes are 100% vegan or synthetic. 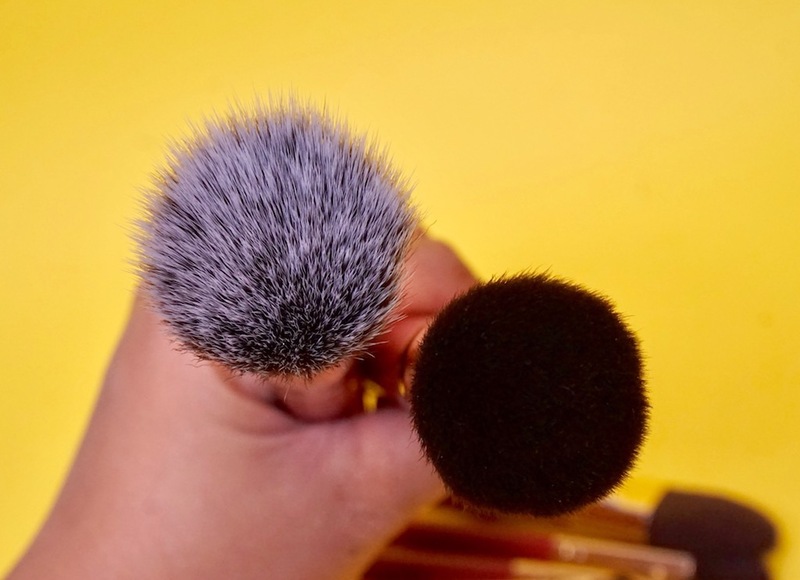 A top shot of the stipple and powder brush; I love how clean the edges are, which will also help create a cleaner, focused makeup application. 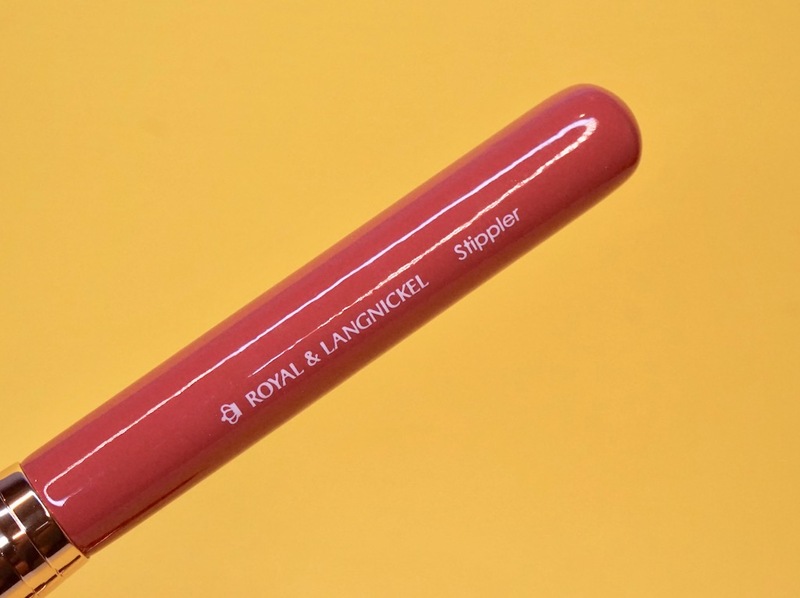 The handles are lacquered wood with a salmon pink color; ferrule is gold plated. 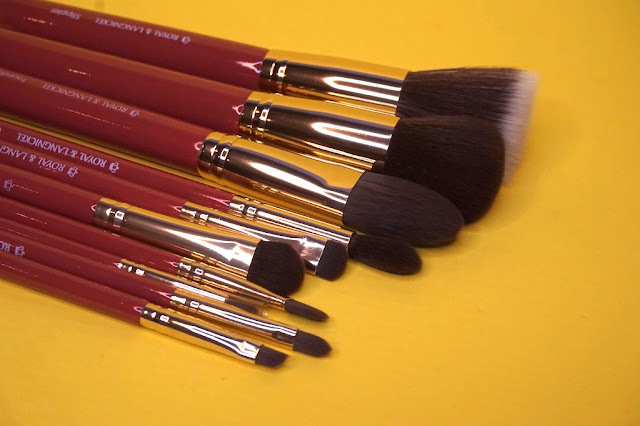 Love that the brushes have names, perfect for beginners. 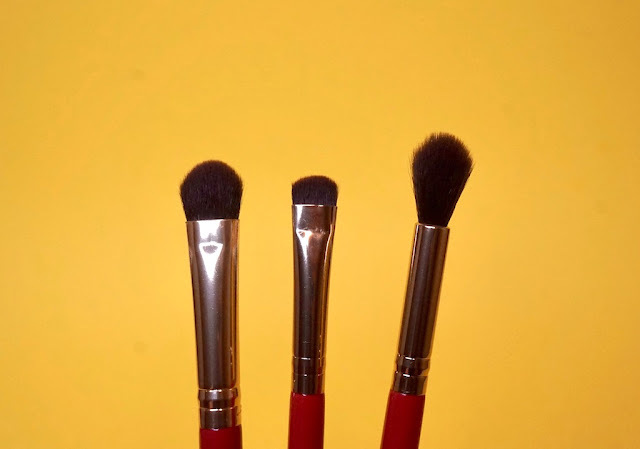 L-R: Foundation brush, Stipple brush, Powder brush. 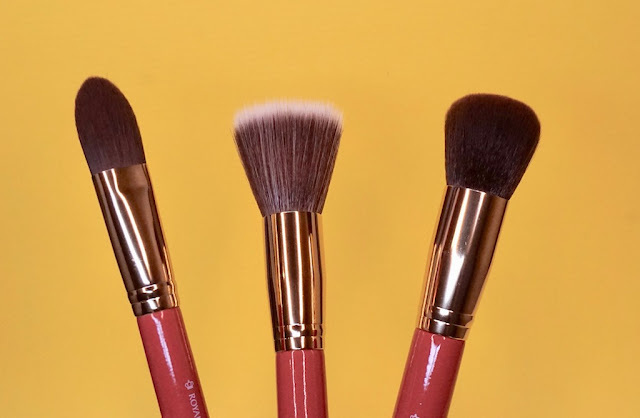 The brushes feel really soft, flexible yet sturdy enough to help me blend colors properly and precisely on my skin; what's great about this set is it contains a varied range of brushes; no redundant brushes and covers every brush need I have, especially for the eyes. I've washed these once and no fallout! The flat liner brush doubles as an eyebrow brush too and I love how it creates clean lines! I'm pretty happy with these brushes and I can't wait to play with them more. Unfortunately, R&L is not available locally, but I hope it will be soon! 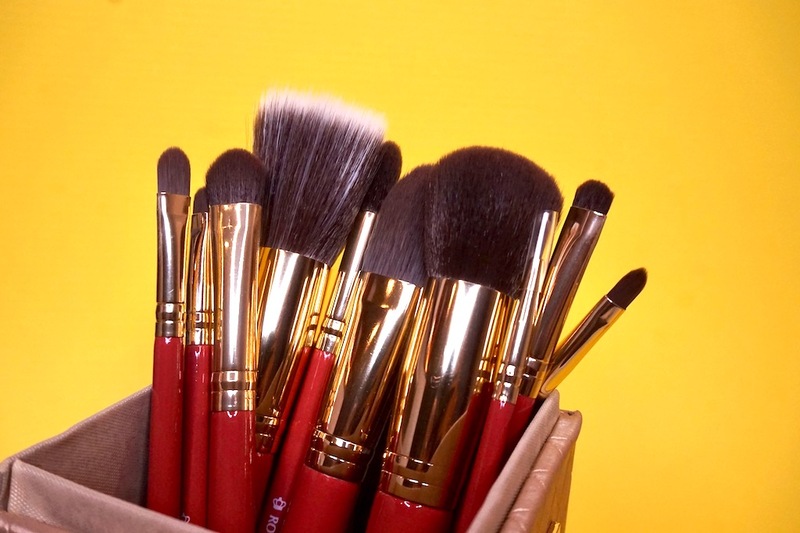 I'd love to get my hands on their pro brushes! Pangmaharlika!!! Hihihihi. Royal na royal ang dating but it also looks like a paint brush Hihi. Ang sarap siguro nyan sa balat di gaya ng mumurahin lang na naglalagas pa. This is my first time hearing about the brand and they look posh ang to boot the handles are in red whoa ♥ ♥ ♥! 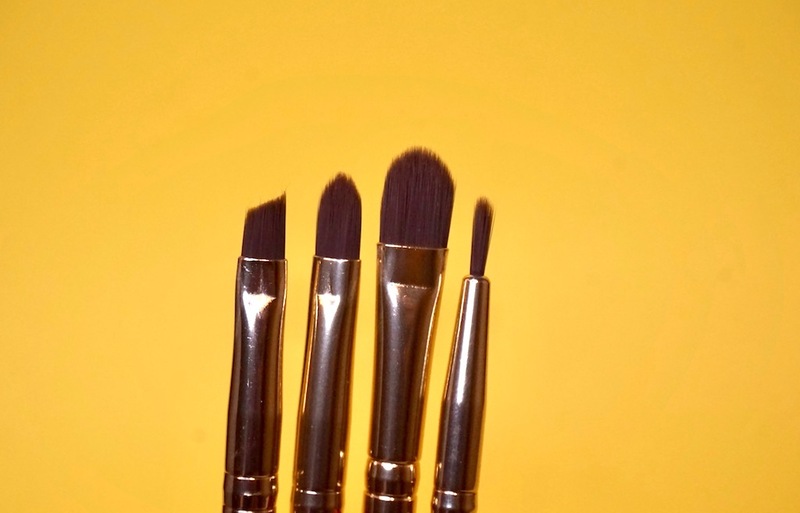 What a beautiful brush set, looks like my sisters art brushes! 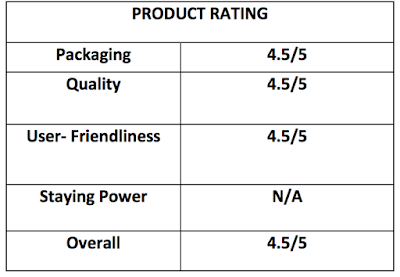 Looks well crafted too na even if you use it over and over again, the bristles won't fall. 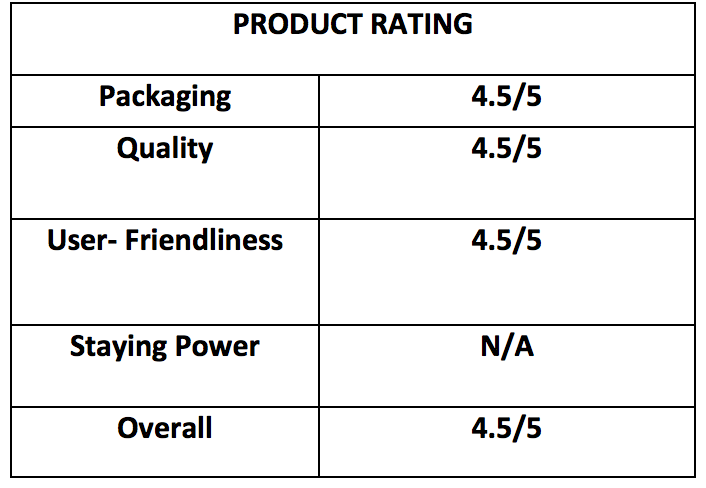 Ang ganda naman! Perfect Set of brushes. Gaganda Ms.M, kakainlove nong mga angle at style ng tips lalo na sa foundation brush. Parang ang sarap-sarap gamitin.